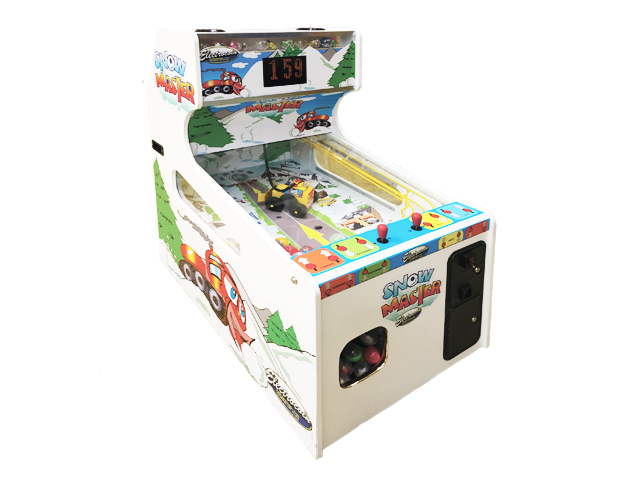 Snowmaster is a fun packed egg vending game. 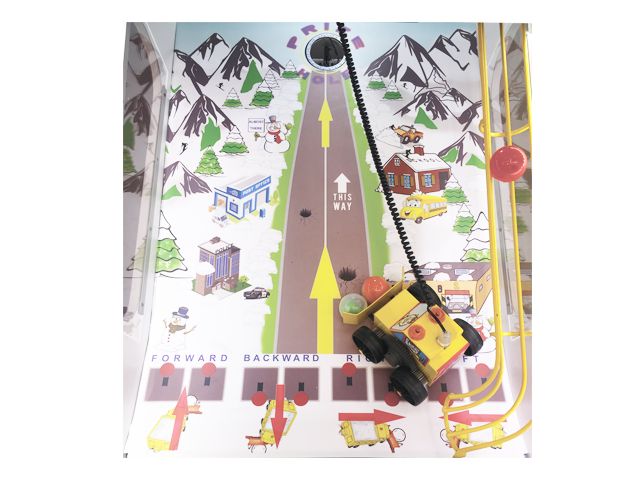 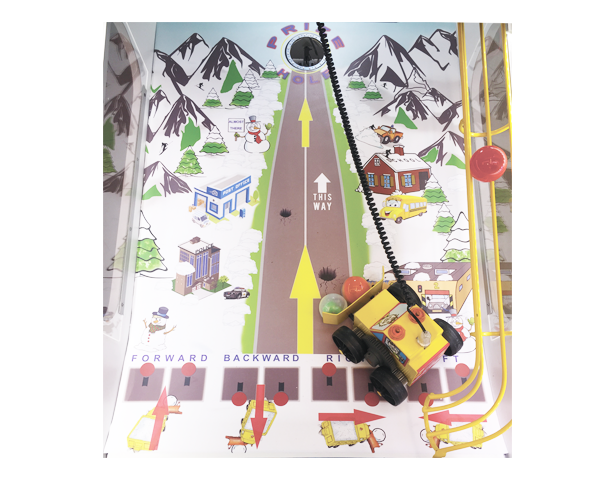 For every credit, one capsule drops into the game board and players have to ‘drive’ the snow plough vehicle and plough/guide the capsule into the prize hole. 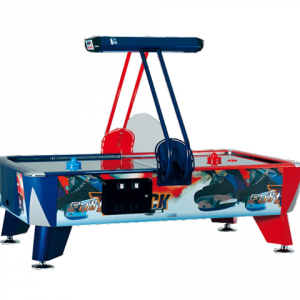 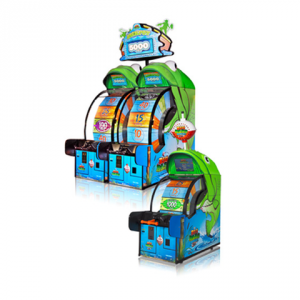 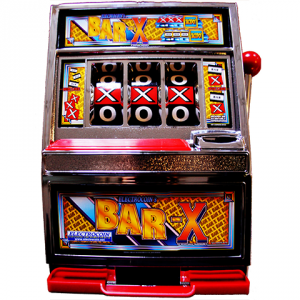 Based on a time element which is adjustable – if the player is unsuccessful which is rare, the capsule remains on the play field and another capsule is added to the game for every new credit. 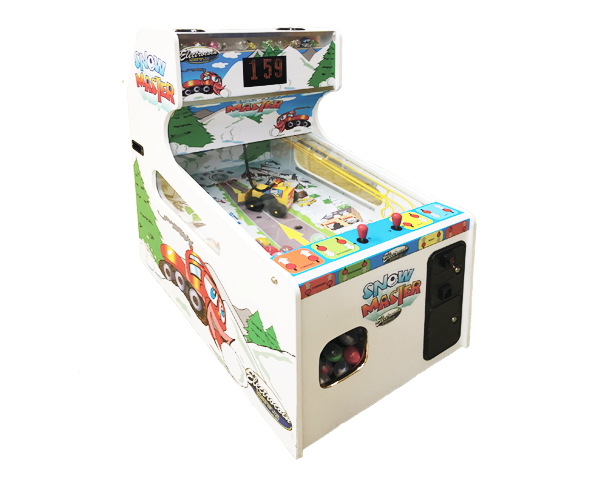 The games ends either when the time runs out or the capsule is dropped into the prize hole. 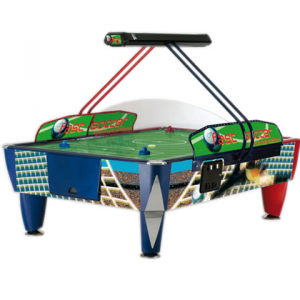 If there happens to be two or more capsules on the play field, a player can usually guide ‘two capsules’ into the prize hole.